I am stressed out of my head. This week, my to-do list has been growing faster than I can clear it. 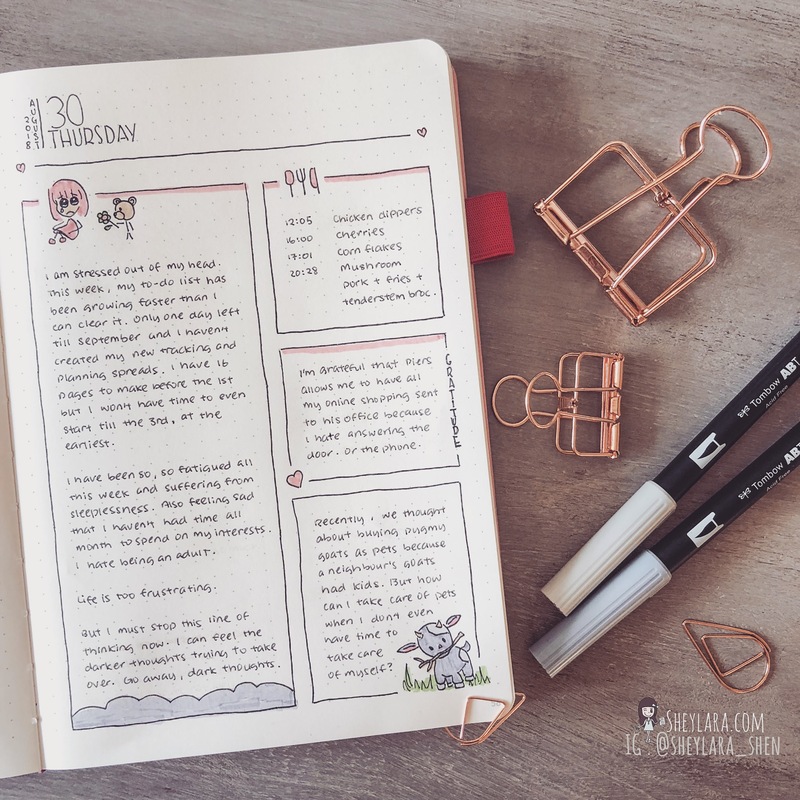 Only one day left till September and I haven’t created my new tracking and planning spreads. I have 16 pages to make before the 1st but I won’t have time to even start till the 3rd, at the earliest. I have been so, so fatigued all this week and suffering from sleeplessness. Also feeling sad that I haven’t had time all month to spend on my interests. I hate being an adult. But I must stop this line of thinking now. I can feel the darker thoughts trying to take over. Go away, dark thoughts. I’m grateful that Piers allows me to have all my online shopping sent to his office because I hate answering the door. Or the phone. Recently, we thought about buying pygmy goats as pets because a neighbour’s goats had kids. But how can I take care of pets when I don’t even have time to take care of myself?